Whether you are watching from the ground or standing in a basket high above ground, the hot air balloons of Cappadocia are unlike anything else in the world. Hundreds of multicolored balloons take to the sky just before sunrise and sail above the honeycombed cave houses and dip low into the deep valleys. The hot air balloon tour will pick you up from your hotel right around 4:00am and you’ll be offered a light breakfast, tea, and coffee before heading for the launch area right outside of Goreme. You’ll watch as the balloons are filled with air and then take off, one by one just before the sun begins to rise. For the next hour and a half or so you’ll travel up to 1,200 feet into the air, past fairy chimneys that at times are close enough to touch, and then deep into the valleys for an up-close look at the cave houses that are built directly into the valley walls. All while surrounded by hundreds of other balloons and while the sun is rising in the sky and changing the hues from pink to yellow to blue. 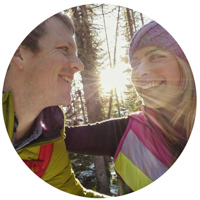 It is truly a once-in-a-lifetime experience that is not to be missed! Choose Urgup Balloon Tours for their impeccable safety record and knowledgeable and friendly pilots. 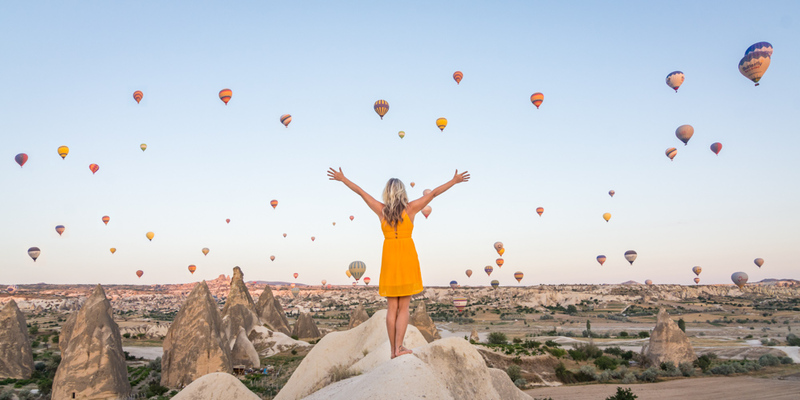 While a hot air balloon ride is a must-do excursion in Cappadocia, it isn’t the only thing there that is not to be missed. Exquisite hotels that have been built into ancient cave dwellings have kept much of the physical structure of the caves while adding modern luxury. The stone cave walls give you a glimpse into how life may have felt for the people who lived in them many years ago while the beautiful antique furniture, gorgeous handmade rugs, and heavenly bedding will make if difficult to leave. Most cave hotels also offer beautiful gardens or rooftop terraces that are the perfect spot for sunrise balloon viewing. Choose Taşkonaklar Hotel for their lavish cave rooms, spectacular gardens, delectable breakfast, and friendly and helpful staff. 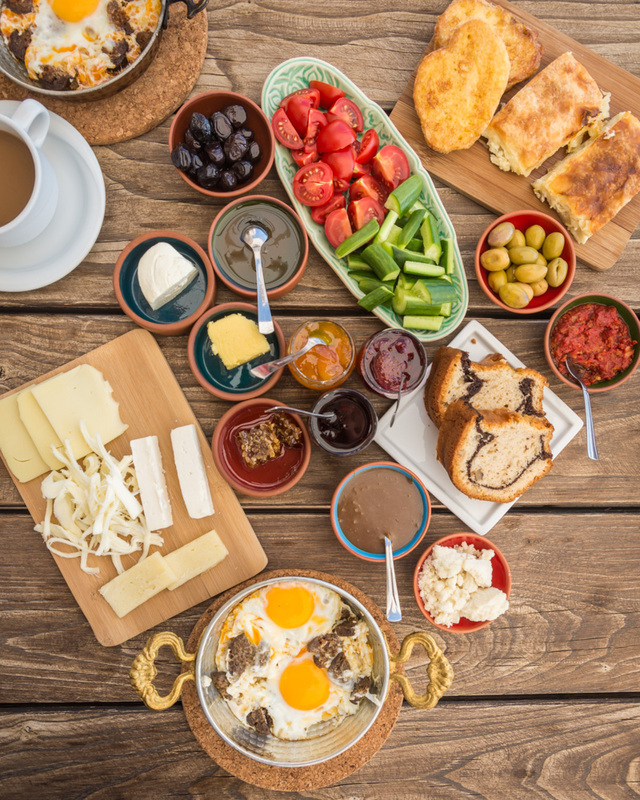 The traditional Turkish breakfast, known as “village breakfast”, is an elaborate spread that is sure to satisfy even the pickiest of eater. Offering everything from freshly baked breads and pastries, homemade jellies, thick honey, fresh cucumbers and tomatoes, traditionally prepared eggs, and a variety of other goodies it gives you a chance to sample a diverse range of local fare. Most hotels offer their own take on the specialty so make sure you don’t sleep through it! Whether you’re getting lost in the endless alleyways of the Grand Bazaar in Istanbul or stopping by the many market stalls you’ll find in every town along your journey, the shopping in Turkey is possibly the best in the world. Many of the souvenirs offered in nearby countries are actually made in Turkey so if you’re traveling around Europe and want the best deal, you must make a stop here. 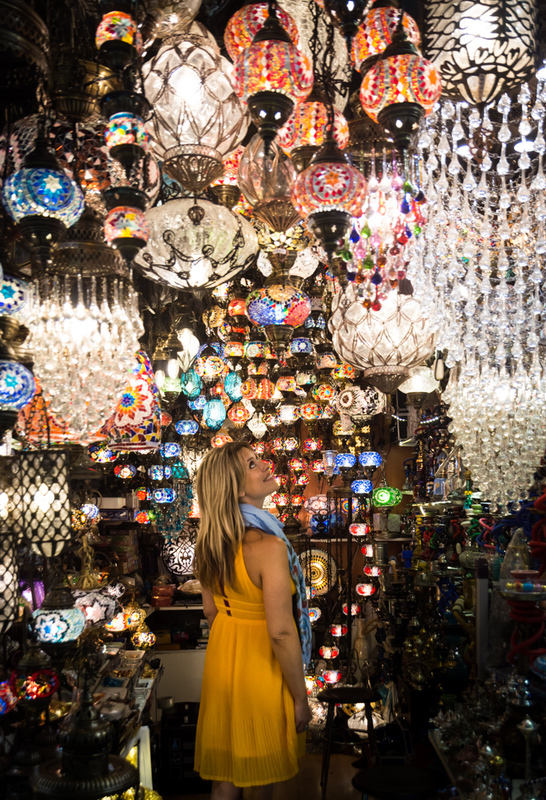 From handmade Turkish rugs to colorful mosaic glass lamps to intricately painted pottery – Turkey has it all. Keep in mind that you’ll be given a tourist price initially so some negotiating will likely be in order. Be cordial, reasonable, and willing to walk away. You should be able to get the price down 30-50%. Also keep in mind that the actual dollar amount you’re haggling over is probably only a few dollars and they might need it more than you do so make sure you’re both happy when the deal is done. Most people in Turkey are fairly easy going – you won’t run into many aggressive touts. However that is not the case at the Grand Bazaar. You won’t be able to walk more than 10 feet without hearing “hello lady!” “where are you from?” “please, come look at my shop! Just looking just looking” “can I have your money?”. My advice? Walk around, compare prices, take photos of your favorites, take business cards of the shops you like, and then leave. Have a nap (the shopping in the bazaar is exhausting), and come back later with a game plan. 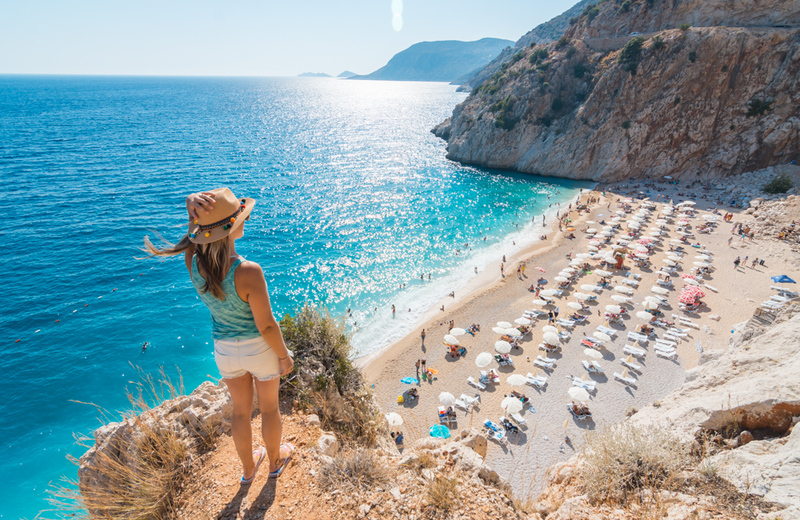 There are 7,200 kilometers of coastline in Turkey offering sandy beaches, calm bays perfect for a boat excursion, and amazing sea views. You can find quaint main squares and old cities full of history located in coastal towns like Antalya and Kas that are a short drive (or walk) from spectacular beaches with crystal-clear water. Many of the popular beaches like Lara Beach, Patara Plaji and Kaputaş Plaji (pictured) offer amenities such as lounge chairs, umbrellas, and restaurants. But if you’re looking for a more low key experience, you can generally make your way beyond the crowds to find a patch of sand all to yourself. Once you’ve had your fill of the beautiful Turkish coastline, head inland to experience yet another Turkish treasure – the amazing hot springs. The most infamous hot springs in Turkey are the Cleopatra Pools located within the quaint town of Pamukkale. Many tourists visit Pamukkale for the amazing travertine terraces but end up lingering in the hot springs where ancient Roman ruins are submerged below. 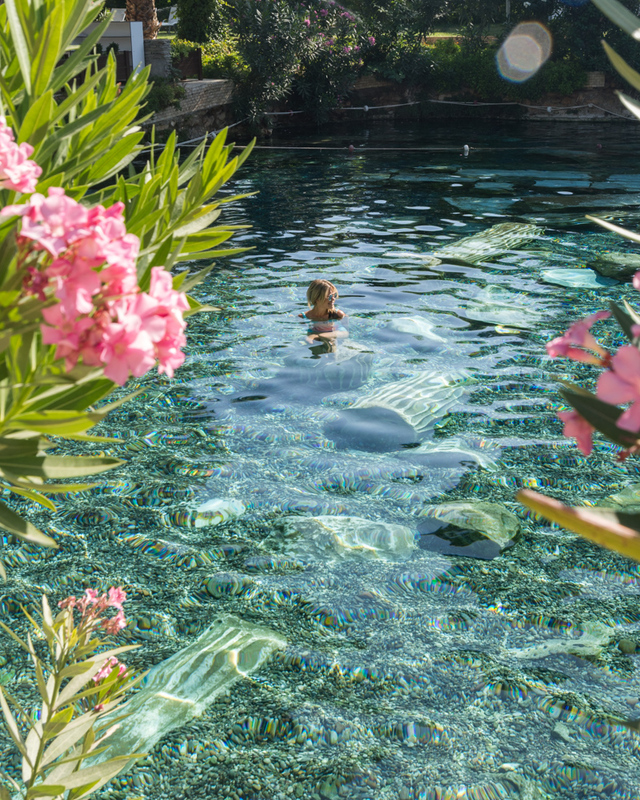 The water is not too hot or too cold and it is absolutely perfect for relaxing after a long morning of exploring the ruins and terraces of Pamukkale. No trip to Turkey is complete without a scrub in a historical Turkish bath. You can find countless hamams all over Turkey in a range of prices and services offered. Located centrally in Istanbul and built in 1584, Çemberlitaş Hamamı Fiyat offers beautiful architecture and reasonable prices. Spring for the “luxury style” package which includes a visit to the hamam, a soapy scrub, and a 30-minute oil massage to get complete bath house experience. Upon arrival women will be given a small pouch containing disposable undies and a scrubber and men will be offered just a scrubber. Once ushered to your separate areas you’ll be directed to the changing room and offered a towel. Be sure to stick some coins in your pouch as a 10-20% tip split between your two attendants is expected (and they will make a bit of a show about saying goodbye when they are finished). From the dressing room you’ll be taken into the hamam where you will sit for 10-15 minutes on the hot marble rotunda to open up your pores before someone comes over to scrub you clean. After your rinse you’ll be directed to another room for your oil massage and then finally you’ll finish with a shower. It’s awkward, relaxing, and confusing all at once and will inevitably be one of your favorite Turkish adventures! The history of the Turkish people and region covers a time frame of more than 4,000 years – first living in Central Asia around 2000 BC and then spreading out to establish various states and empires around Asia and Europe. Empires were created and destroyed, cities rose and fell, wars were waged. Evidence of the complicated history of Turkey is found throughout the country but there are a few especially notable landmarks that are worth a visit. One of those highlights is Ephesus which is located in Western Turkey, just 3 kilometers from the town of Selçuk in the Izmer region. The ruins are rich in history; it became a Roman city in 133 BC and then the capital of Asia Minor in 27 BC when it grew to a population of 250,000 people as it was a busy port town. In it’s peak in the first and second century AD it was estimated that 400,000 called it home. 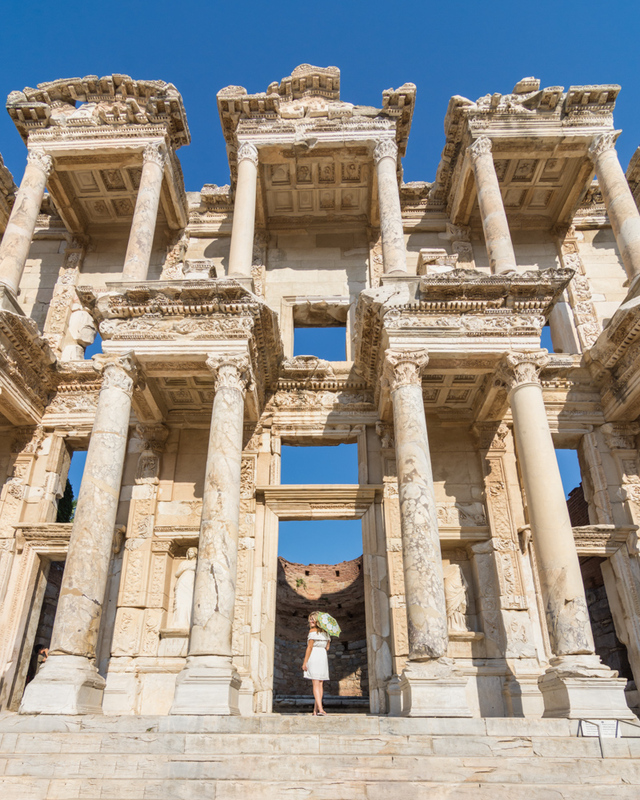 The famous Library of Celsus (pictured), the third largest library in the ancient world, was constructed at Ephesus in 123 AD and has been expertly preserved and reconstructed to be the highlight of the ruins that it is today. Turkey is the center of the world – quite literally. It is the intersection of Asia and Europe and offers a diverse mix of ethnicities and religions, and conservative views and progressive views. In a country that is incredibly dependent on tourism, it can be surprising that the people remain so friendly, so honest, and so excited to meet foreigners. You will encounter friendly people who are genuinely interested in getting to know you and it’s highly unlikely that you’ll ever feel unsafe anywhere in Turkey. Hospitality is important to the Turkish people so always accept their offer of tea (even if you don’t really want it) and take time to listen to their stories and get to know them – family life, political views, the decline in tourism – no topic is off limits. Convinced? What are you waiting for? Come see Turkey! Planning a trip to Turkey? Check out our favorite books! Valid reasons, every one. After our visit, I became a total convert to Turkish breakfasts. Now it’s my favorite. Compliments to your photography. I love how you featured Val in all the photos, in a natural way.